Carrying on with the spirit of thoughts I expressed on 04th of Jul which marked the American Independence day, some compelling lessons stare at us today, as the calendar proudly turned to 15th of August. For India, the glory of one victory that has held strong for 68 years must now inspire a story of greatness that shall redefine freedom. A freedom from the ordinary. A freedom that will liberate us from political stigma and social dogma. 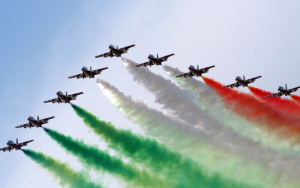 The global canvas is waiting for the tricolor to shine beyond the occasional spark. To become the torch light that grows hope, confidence and fortune. To become more of the land that was, is and will be revered, for time to come. Entry filed under: Organizational Development.